MINEOLA, N.Y. (November 17, 2017) – The Long Island Golf Association and Metropolitan Golf Association are pleased to announce a new collaboration between the two associations beginning January 1, 2018, with the goal to deliver superior service to clubs and golfers on Long Island through the LIGA’s core mission of conducting championships. “We are really excited that this collaboration with the MGA will enable us to maintain the identity, history and tradition of the LIGA while building on our highly successful tournament program,” said LIGA President Marty Winkelman. The Executive Committee of the LIGA will continue as its governing body and will maintain its key responsibilities for obtaining venues for future tournaments and attracting and managing relationships with its sponsors. LIGA events and championships will continue to take place beginning in May and continuing through October with events for professionals and amateurs; men and women; juniors and seniors; and high and low handicappers. Additionally, the MGA and LIGA will work together on volunteer training and development, financial operations, and streamlined communications and technology, with all information for LIGA events made available through an expanded and improved LIGA “micro-site” on the MGA’s official website, mgagolf.org. The MGA and LIGA have had a close relationship since the LIGA was founded in 1922. The MGA brings significant resources, expertise and operational strengths to the collaboration. In addition to running its own schedule of Championships, the MGA serves golf clubs and golfers throughout the tristate area with a comprehensive member services portfolio including Handicapping and Course Rating, and a host of innovative educational, insurance, and junior golf programs in addition to publications including The Met Golfer magazine. Another benefit to golfers and golf clubs is the opportunity to combine repetitive events. Starting in 2018, the LIGA Father and Son tournament will be played with the MGA’s Father and Son Championship as a flight within that Championship. With a single entry fee, Long Island players will have the opportunity to compete for the Long Island division simultaneously with the MGA title. Similar opportunities will be explored in the future, and these changes allow competitors to pay one entry fee and allows eligible teams to have their score count toward both championships. At the same time, member clubs will benefit from a reduction in hosting requests. Volunteers are at the core of the success for both organizations. Combining volunteers under one umbrella will allow for improved training, better use of volunteer skill sets and coordinated efforts to enhance and expand programming. Supported by the dedicated Executive Committee of the LIGA and staff of the MGA, both associations believe that the LIGA will be in position to grow and prosper far into the future. The LIGA’s 501(c)(3) affiliate, the Long Island Caddie Scholarship Fund (LICSF), is forming a similar collaboration with the MGA Foundation. The LICSF, established in 1962, provides scholarships to Long Island caddies and others who have worked “in service to golf”. For the 2017 – 2018 academic year, there are 112 young people receiving assistance in the LICSF program. 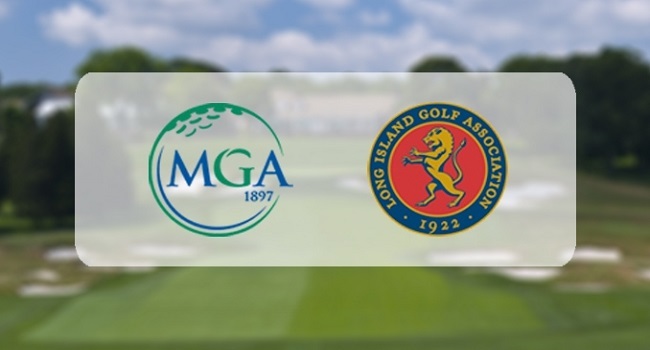 It is hoped that this new partnership will allow both the Caddie Scholarship Fund and MGA Foundation to raise awareness of their programs on Long Island and influence the lives of even more young people through golf. For more information, please contact the MGA Championship Department at 914-347-4653.